CPRA has compiled a list of online resources of interest to persons affected by Chronic Overlapping Pain Conditions (COPCs). Please note that the Chronic Pain Research Alliance is not responsible for the content accessible via each of the links below. Read our brochure, Chronic Overlapping Pain Conditions. This brochure addresses what are COPCs, how COPCs are diagnosed, the complexity of the chronic pain experience, and how to work with your health care provider to develop a treatment plan. 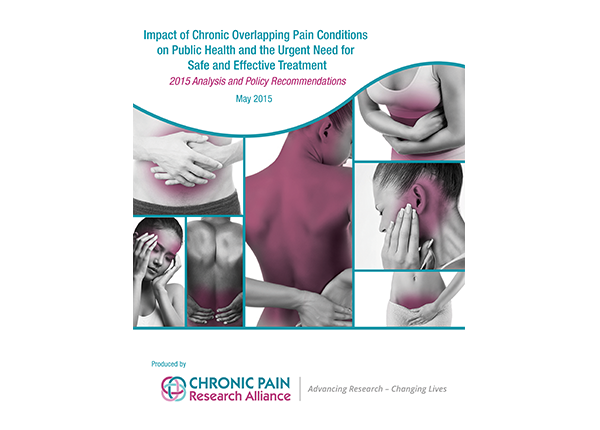 Read new our self-help guidebook for patients with Chronic Overlapping Pain Conditions. The CPRA produced these white papers to promote awareness and research of COPCs. These reports, which can be viewed and downloaded below, include detailed recommendations for how research on COPCs should be advanced and expanded in a coordinated, efficient and effective fashion. In this report, the Institute of Medicine (IOM) offers a blueprint for transforming pain prevention, care, education and research, with the goal of providing relief for all Americans suffering from pain. February 2012 the U.S. Senate held the first hearing on chronic pain, Pain in America: Exploring Challenges to Relief, which included testimony from CPRA Scientific Advisor Council members Drs. William Maixner and Philip Pizzo and CPRA co-founder Christin Veasley. 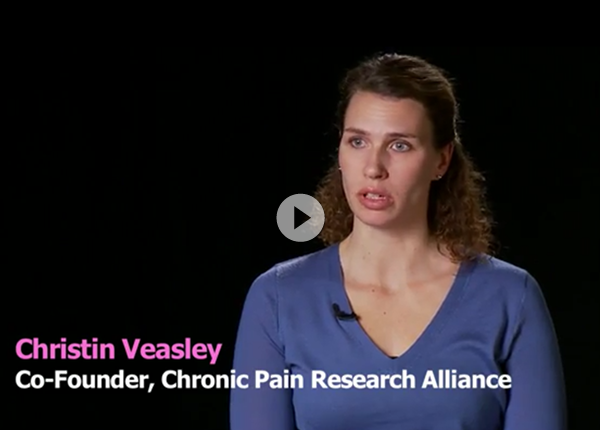 From 2010 to 2012, the Chronic Pain Research Alliance (formerly named the Overlapping Conditions Alliance) received funding to conduct the Campaign to End Chronic Pain in Women. The Campaign was jointly led by organizational leaders of the CFIDS Association of America (now named the Solve ME/CFS Initiative), Endometriosis Association, National Vulvodynia Association and The TMJ Association. The Campaign’s major aim was to improve the health and well-being of women living with one or more chronic pain disorders that solely or disproportionately affect women, including myalgic encephalomyelitis/chronic fatigue syndrome, fibromyalgia, temporomandibular disorders, vulvodynia, endometriosis and interstitial cystitis/painful bladder syndrome. As many as 50 million American women live with one or more of these conditions, and for the majority, our health care system offers frustratingly little help. Because the U.S. government and private sector have shortchanged research on these disorders, they are all poorly understood. Health care providers receive inadequate training on their diagnosis and treatment, and effective, evidence-based treatments are lacking. Additionally, evidence suggests a discriminatory pattern in the medical care provided to women with chronic pain. During the Campaign, we were able to significantly increase awareness of these issues among key stakeholder groups, including policy makers, representatives of federal health research agencies and industry, clinicians, scientists, media professionals and the public. This work continues through the efforts of the Chronic Pain Research Alliance. Eighth Scientific Meeting: How Can Precision Medicine Be Applied to Temporomandibular Disorders and its Comorbiditites? Fifth Scientific Meeting: Can Studies of Comorbidities with TMJDs Reveal Common Mechanisms of Disease? 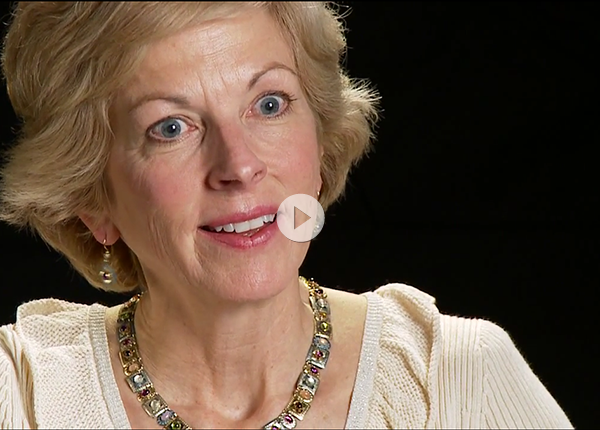 Meet Paula, a patient who discusses the impact of living with chronic overlapping pain conditions. Meet Chris, CPRA Co-Founder who talks about the difficulties patients experience in obtaining medical care.